On this page you can download GeForce Forceware 260.99 Win XP 32-bit. 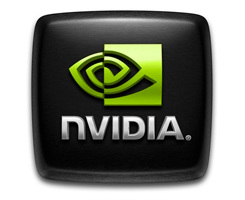 Download NVIDIA GeForce Forceware 260.99 Win XP | 7 | Vista drivers. This is the second WHQL release from the Release 260 family of drivers. You can read about the major new features and performance improvements in the Release 260 family of drivers here. This driver package supports GeForce 6, 7, 8, 9, 100, 200, 300, and 400-series desktop GPUs as well as ION desktop GPUs. Increases performance vs. v260.89 drivers in the following PC games: Civilization V (SLI), Fallout 3, Final Fantasy XIV and F1 2010 (DX11). Improves compatibility for Fallout 3: New Vegas with antialiasing enabled. Improves Alt-Tab compatibility for several PC games. Supports the new GPU-accelerated features in Adobe CS5. Supports GPU-acceleration for smoother online HD videos with Adobe Flash 10.1. Learn more here. Supports the new version of MotionDSP's video enhancement software, vReveal, which adds support for HD output. NVIDIA customers can download a free version of vReveal that supports up to SD output here. Supports OpenGL 3.3 for GeForce 8-series and later GPUs. Supports OpenGL 4.1 for GeForce 400 series GPUs. Supports single GPU and NVIDIA SLI technology* on DirectX 9 and OpenGL. Note: If you have problems downloading GeForce Forceware 260.99 Win XP 32-bit, please try to stop using your download manager and avoid right clicking on files. Also, check your firewall settings, because some mirrors may require that you do not block the HTTP referrers.